With the political fortunes of the free world hanging in an ever tightening, if somewhat undignified balance, some of us may be wondering how the governments of the future will support our hopes for better community wellbeing. From the outset, it should be said neither presidential candidate has stated a policy on Positive Psychology. And of course, for its part, Positive Psychology, being an objective field of scientific inquiry, has no stated position on politics. Right? Wrong! In his book ‘Flourish’, Professor Martin Seligman, the founder of Positive Psychology, has stated very clearly where this field sits along the political spectrum. It doesn’t ‘sit’ so much as exist squarely above the usual left/right divide. 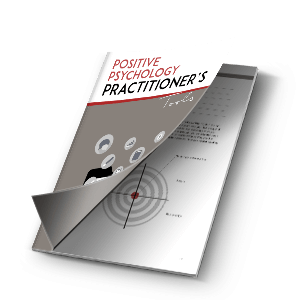 “There is a politics behind Positive Psychology. It is not a politics of left verses right, however…Positive Psychology is a politics that advocates no particular means but rather another end. That end is not wealth or conquest but wellbeing. Material prosperity matters to Positive Psychology, but only insofar as it increases wellbeing”. P. 221. Unfortunately, politics seldom respects the neutrality of scientific enquiry; just ask any climate change scientist. And despite positive psychology’s clearly stated position of remaining above the usual political arm wrestling, some left/right arguments inevitably creep in. For example, some poignant questions have arisen around whether governments should be in the business of community wellbeing. Shouldn’t wellbeing be left to individual responsibility? Should my taxes pay for your wellbeing? And who decides if Positive Psychology is more deserving than other fields of funding or research grants? The progressive case for public investment in community wellbeing has been advanced by people such as Sir Anthony Seldon, a leading academic and Positive Psychology advocate. Seldon has advocated that the UK government should adopt wellbeing as a target for national policy. He has also argued that public sector workforces would benefit from resilience and wellbeing training. “aided by a new politics in which government across the world will be judged by how much it increases, not just GDP but also the well-being of the governed.” (P.240). To achieve this on a large scale Positive Psychology will need to reach across the political divide. It will need to work in partnership with various ideologies and governments of different political persuasions. So how can positive psychology appeal to the opposing worldviews of both conservatives and progressives to make PERMA 51 happen? 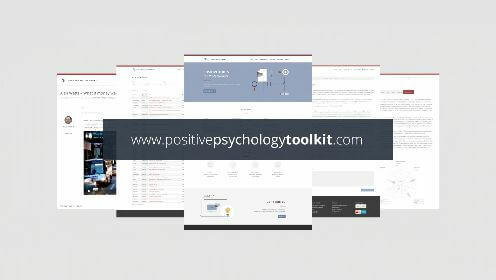 The benefits of investing in Positive Psychology in the business sector, such as increased productivity and better staff retention, are well documented. Beyond the growing body of evidence gathered by Positive Psychology researchers, independent analysis by the Gallup Institute (Sorenson, 2014) has found when companies focus on building employees’ strengths there are greater improvements in productivity and performance compared to the traditional focus on improving weaknesses. When employees know and use their strengths they are more engaged, perform better, and are less likely to leave their company. In addition to this hard-nosed business case for Positive Psychology, a more subtle example has been the experience of Geelong Grammar School located in the people’s utopian republic of Australia. Geelong Grammar School is a private boarding school whose alumni include such ordinary people as Prince Charles. In his book, ‘Flourish’ Martin Seligman tells how this ridiculously well-resourced school convinced himself and 15 leading PENN faculty staff to stay in residence at the school with the purpose of imbuing the entire institution in the principles of Positive Psychology and Positive Education. The result is an inspired example of what private investment can achieve. Geelong Grammar, along with several other elite schools has done more than just retain the commercial benefits of ‘Pos-Ed’ for themselves. Their efforts have culminated in the establishment of PESA (Positive Education Schools Association) whose mission it is to disseminate Positive Psychology and Pos-Ed resources to everyone. Membership fees are very modest and open to any school or institution. Membership is also open to individuals who don’t work in schools such as parents, early childhood educators, and grandparents who are all encouraged to access resources and learn more about supporting the academic and emotional flourishing of students, teachers and communities. Conservatives take heart, no taxpayer funds were harmed in creating these programs. And taken together the above examples demonstrate how positive psychology is good for business and can deliver community-wide benefits without fermenting a socialist conspiracy. Somehow I suspect progressives will need less convincing that community wellbeing is worthy of government funding and policy leadership. However, the case becomes more compelling when one considers recent studies of the wellbeing ‘contagion’ across regions. For example, Eichstaedt. et.al. (2015) analysed millions of tweets for signs of wellbeing in social media across the U.S. by measuring the frequency with which people used positive language vs negative language as they expressed themselves. The study found when people used negative emotional language in describing their life, i.e. words like “hate” and other obscenities; messages strongly predictive of heart disease (as recorded by local coroners) even after variables like income and education were controlled for. At the other end of the scale, positive emotional language such as “wonderful” or “friends” or “celebration” predicted wellness and worked as a protective factor against early death. To be clear, this study illustrates the contagious effects of wellbeing. The people expressing the tweets (often younger people) are not necessarily the same people dying (usually older people). Rather they are simply reflecting the emotional wellbeing of their households, neighbourhoods and communities. It seems ‘psychological environments’ matter. Your wellbeing (and thus longevity) is impacted by the wellbeing of those around you. And just as medical vaccination programs work best when they achieve higher levels of herd immunity, your wellbeing is supported by the improved wellbeing of your fellow citizens. It seems, in this sense at least, we really are all in this together. So while positive psychology may not endorse any particular policy, it does mean that if we really care about ourselves, and if we really care about each other, we should insist our leaders give more priority to the objectives of PERMA 51. Perhaps we could start with one simple message to our current ‘wanna be’ leaders; build wellbeing, not walls. I would love to hear your thoughts on positive pyschology and the current political environment, also how do you predict the outcome of PERMA 51? Let us know by leaving a comment below. Eichstaedt, J. et.al. (2015). Psychological Language on Twitter Predicts County-Level Heart Disease Mortality. Psychological Science February. vol. 26 no. 2 159-169. Evans, J. (2013). Philosophy for Life and Other Dangerous Situations: Ancient Philosophy for Modern Problems. New World Lib. Seldon, A. (2015). Beyond Happiness: The trap of happiness and how to find deeper meaning and joy. Hodder & Stoughton. London. Seligman, M. (2012). Flourish: A Visionary New Understanding of Happiness and Well-being. Free Press. NY. Sorenson, S. (2014). How Employees' Strengths Make Your Company Stronger. Business Journal. February 20. Did you see the role of mirror neurons in the second debate? The last question asked both Hillary and Donald to say some thing nice about each other (find the positive). When Hilary was nice and gave a compliment about his kids, Donald was nice to her basically saying she was gritty. As a result at the end, they shook hands. Wishing for more moments like this. Yes caren. Imagine if all debates began with that question. I was reminded of the Northern Ireland peace process. After generations of entrenched conflict, things changed when the opposing sides began to identify some narrow things they could agree on; e.g. we all want our kids to be safe, for our grandchildren to prosper… They then built a dialogue from there. Even in situations of deep hostility a focus on strengths can be a game changer. What a great idea, you should market that slogan on T-shirts. Build wellbeing-not walls! Positive Energy is what leads the better outcome for any circumstance.